Hemophilia Society Mumbai (Chapter) has successfully raised funds & reached the goal amount. We thank all the 216 generous supporters for their kindness. Sunil is 45 years suffering form Hemophilia, due to frequent bleeding his joints are damaged - needs to be oprated. 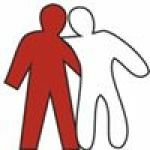 Established in 1992, Hemophilia Society Mumbai (Chapter) is a self-help NGO run by Persons with Hemophilia themselves, with help from medical fraternity. We are affiliated with Hemophilia Federation India, a National Member Organization at the World Federation of Hemophilia based in Canada. FCR Act 2010: No. 083781272 . We have made WHO standardized diagnostic tests available to our PWH. In addition, all Chapters are attached to diagnostic facilities locally. Our Special Needs Cell for HCV/ HIV positive PWH supports them by providing lifelong subsidized treatment including Anti-Retroviral Therapy Drug. Feel free to ask Hemophilia Society Mumbai (Chapter) for a new update on this Fundraiser. Sunil Still Needs Help: Thank you for joining our battle to support Sunil. We are overwhelmed witnessing all you supporters donate with your hearts. However, we are still worried right now. Sunil's surgery has been scheduled for the 17th of December and we are still falling short of Rs. 1.2 lakh to give him his life-saving surgery. We would like to request all you supporters to please share our story/fundraisers with your friends and family on WhatsApp, Mail and Facebook. This will help us receive funds faster and give him his time-bound treatment. Once again, I would like to thank you for the support. God bless you all. Hemophilia Society - Mumbai Chapter. Sunil is diagnosed with Hemophilia, a rare genetic bleeding disorder caused by lack of clotting factor (protein) in the blood. People suffering from this disorder have prolonged bleeding which is fatal and can also lead to death. At present there is no cure for Hemophilia, patients have to take Clotting Factor Injections to stop bleeding. These Injections are very expensive - and without this surgery in a person with Hemophilia is not possible. 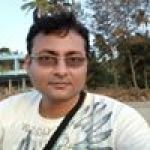 Clotting Factor itself cost INR 7,50,000. Due to frequent bleeding, joints of Sunil are damaged. 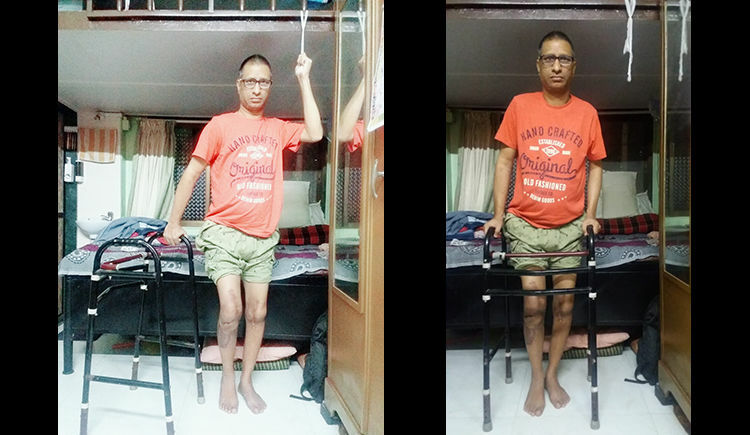 To come out of painful life, Doctors suggested him to go for Knee Replacement. 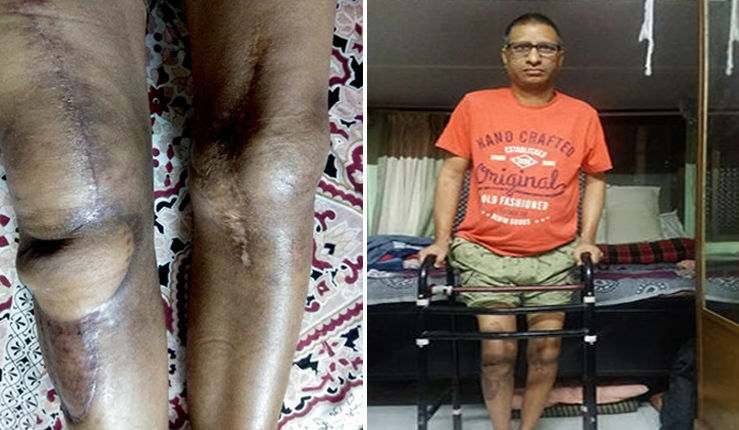 As Clotting Factor was available for free under medical aid, He operated both his legs at KEM Hospital Mumbai, in 2015. His BAD LUCK! both of his knees caught infection. In 2016, Doctor of KEM Hospital again operated him. Again in September this year, his right knee got swollen and diagnosed SEPTIC ARTHRITIS. This time Sunil has decided to go to Sahyadri Hospital, Pune. As it has Hemophilia Comprehensive Care. The doctor has removed his implant to clean the infection. Now his next surgery is on 4th January 2019. Hospital has given an estimate of around 5 lakh. Sunil is working as a Office Clark and his monthly income is Rs. 15,000. He is living with his wife and two daughters 11 and 17 years. He is the only person looks after all. Till now he has spent around Rs. 8,84,000 and now he has no money left for his next surgery. He will not be able to walk if he will not get operated. Please support Sunil to stand back on his feet! Your message will be directly emailed to Hemophilia Society Mumbai (Chapter) and you will receive his/her response on the email address entered below.